The Sony i1 Honami, the expected flagship successor to the Xperia Z, is likely not to have a sensor as large as the one on the Nokia Lumia 1020. Despite that, the Honami allegedly exists and people close to Sony have already seen the device and first sample images shot on a prototype. How do they look? Expectations are that Sony will deliver this time and the samples spurred hope that the Honami could blow all existing Android smartphones and be neck to neck with the Lumia 1020. The Sony Honami is said to be slightly larger, but still fairly similar to the Xperia Z: the new flagship would be 4mm taller and 2mm wider, but just as thin. The Honami will feature the familiar magnetic dock for the new type of docks Sony has that will obviously become universal. The bottom is once again confirmed to be fully occupied by the speaker grills? Sounds familiar? That fits exactly the leaked images we saw more than two weeks ago (find them right below). The new details touch on the 20-megapixel f/2.0 camera with 5mm focal length. Xenon flash is unlikely and ISO could go up to as much 1600. The actual resolution of images is 5248 x 3936 pixels. The disappointing news is about the sensor size. The latest whispers decry earlier rumors about the Honami matching the ⅔” sensor on the Lumia 1020. It is now said to feature a smaller, 1/2.3” sensor. The size of the camera sensor, the photosensitive element behind the camera’s eye, is quintessential to image quality. A smaller sensor collects less light and this makes it less suitable for low-light imagery. The camera will work with BIONZ image processing engine that runs on top of the Qualcomm Krait processor. That specific processing for images will only be available via the built-in CyberShot camera app. now based on the early sample image that I saw, full res output @ISO100 reveals lots of detail comparable (take note, not better or anything superior) with the old RX100 with minimal loss of detail at ISO400, though at ISO800 and 1600 the image is flooded with Luminance and chroma noise with visible color blotches plaguing the image but someof the small details that I've seen visible with the ISO400 sample are preserved, bokeh effect is virtually similar to 1020's. as you guys would know, I posted my thoughts on Honami's ISO1600 performance relative to RX100's on the previous page before I got my hands on the sample, but now I have to say that RX100 @ISO1600+ is virtually untouchable at any rate. I can't comment on how it fares against 1020, but think they'll be neck and neck when comparing their full resolution outputs. one more thing, the samples exhibited some corners softening but barrel distortion is handled pretty well (could be due to image processor just like how it's usually corrected on compact cameras). Now compared with all smartphone cameras available 808/1020s aside, Honami's camera performance will wipe the competition including S4 zoom and the old Galaxy Camera IMHO. but I advice we keep our expectations low, 1020's biggest weapon is the oversampling, and I think Sony has nothing to counter against that, so the competition boils down on which camera delivers better per pixel detail at full resolution. and as of this moment, I'm not sure who's got the upper hand to be honest. besides the sample images that I've seen with my eyes are based on pre production software, so we can't rule out the possibility that the JPEG engine will be better. Take into account that all this is still rumors based on insider’s information. Sony could make changes in the final product and it likely will. Still, it seems that we already have a pretty good understanding of the general outline of the Honami, don’t you think? Oops, those expecting the Honami to be a Lumia 1020 killer is going to be disappointed!! Nokia Lumia 1020 is pure evil, which can tame the baddest of all. 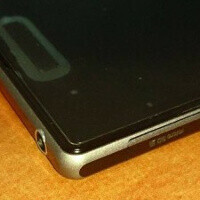 SONY i1 alias Honami barely would survive its blow smacked straight on face. this guy didnt even read the article, and he says honami will be disappointment. a person who had hands on experience is clearly stating that image processor puts honami on par with lumia 1020. sure lumia is ahead with over sampling pictures at 38mp but i have never printed a poster from any picture i took from my phone nor i plan to do that in future. at most i upload at google plus which only accepts 8mp. dont use facebook/twitter but for people that do, it only has 5mp capability so keep that in mind when thinking of all these high specs camera. Really? Awesome? Are you dreaming? Phones are getting good enough to replace those $100 digital cameras but they aren't even close to as good as a decent DLSR. Uh...did you miss my point?? I never said the Honami will be a disappointment. "THOSE expecting the Honami to be be a Lumia 1020 killer..." is what i wrote. Some people are ready to swallow things before they even chew it! Well, in a way, it is going to be a "Lumia 1020 killer". I mean if rumors hold any truth (and also based on the recent announcement of the Xperia Z Ultra), the Honami will feature a Snapdragon 800 processor with an Adreno 330 GPU which offers 5 times the graphical performance of the Adreno 225 in the Lumia 1020. This means that all of the latest graphical games (and any graphical games of the foreseeable future) will run great on it. Now, in terms of the camera, you are correct the Lumia 1020 will still be king. However, I do see the Honami offering comparable camera performance that may be enough for the average person. I think it will also boil down to whether people want a Windows Phone device or an Android device. Finally, big note here in the article I must point out: "Sony could make changes in the final product and it likely will." I'm pretty sure Sony saw the same press conference you and I did, and I'm pretty sure they know that they have to tweak their product before it hits the shelves later this year in order to better compete with the Lumia 1020. At least if they're smart that is what they should do. Lol. Many people bashed lumia 1020 because of the small white dots that accompanied the full res of a low lit shot. Thank you for your comment sir. Lumia 1020 may not take the most detailed shot in low lit situations but for sharing, I guess this would dominate the mobile industry. The second gen OIS, and the BSI tech that didnt came with 808 might compensate for the sensor size the 1020 has. Now, for the honami. People said that honami will be a 1020 killer, let's see about this. I have no doubts on what sony can do with the cybershot branding. But damn, when it comes to software side, they always get left behind. If only the cybershot app could compensate with that, it could challenge 1020. But I doubt it beating 1020. I agree and don't forget Nokia takes about 4-6 months to tweak the software for the camera to improve image quality. The 1020 takes amazing photos now but the quality will improve trust me. I'm sure Nokia is working on it already. you will find no article that says honami will be lumia killer. it is all these immature commenters saying it will be lumia 1020 killer. 1020 has big sensor so it has hand ahead of sony. Okay, Lumia 1020 wins. Putting sensor size aside, no Xenon flash as well. If i want to add in more, ISO up to 1600? Lumia 92X (with Amber update) and 1020 go up to 3200, although i never use more than ISO600 on a phone or photos get too noisy. da fak is wrong with your people. iso 3200? :/ have you even taken picture with that rate? lumia already has slow shutter rate add this iso. forget using your phone for next 20 seconds. then why do cameras have option for 3200? they have the xenon flash, lens optics and mechanical shutter. 1020 got them too. i just mentioned i use only up to 600 on a phone, as for ISO3200, yes, you do need that much especially in DSLRs. Ever wondered why DSLRs have ISO up to 12800, and expandable up to an ISO of 25600? I personally dont go that high (pumping up ISO blindly is something that amateurs do), but some people do use that high. oh good, though i would say i barely see much difference when changing ISO in phones. may be their sensor arent powerful enough. if i compare it to a P&S camera the changes are sudden and obvious after changing the iso. Based on this and the above comment it clearly shows you have no knowledge in photography or you just can't accept that Nokia makes better camera's then Sony and the rest of the competition! i dont know about photography but i do know how to use DSLR thats why i said 3200 iso is crazy unless you are taking picture of Mars or Milky way. as for 1020, specs wise its ahead of sony and i accept that. as for it being better, not to sure about it until we get sample from each phone to compare. Windows phone in general, if battery life is bad it's the apps at fault, those poorly written and optimized apps. Whatsapp on windows phone is utter garbage (i dont use it anyway, regardless of what OS im using for a phone), and some other causes battery drain just by having its specific live tile active on the homepage. My Lumia 920 i can get 1-2days of usage easily, 1 whole day with data on is no problem. Battery drain did happen but improved after a couple of updates, and i got rid of offending apps. Even some 3rd party battery level-monitoring and charting apps causes drain. Irrelevant comparison. Z is Full HD while the lumia is an outdated 1280x768. Compare later, when, if one day that happens, lumia will be Full HD.